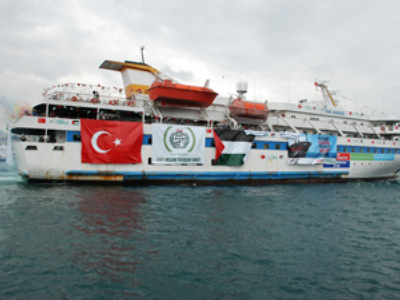 Russian President Dmitry Medvedev has called for an impartial investigation into the incident with the Gaza aid flotilla. The statement was made at a press conference following the EU- Russia summit. The President called for a thorough probe into the incident. 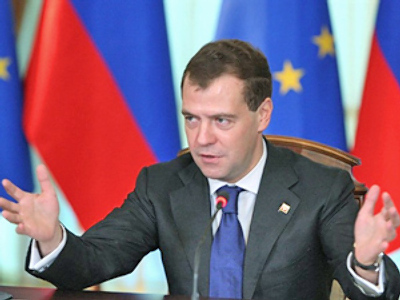 “The deaths of people are irreparable and unmotivated,” said Medvedev. Medvedev also mentioned that the participants of the summit had discussed the problem of Middle East conflict in general, and the recent incident off the Gaza coast in particular. “The corresponding statement was made by Foreign Affairs Ministries. It fully correlates with what has been done within the frameworks of the Security Council,” Medvedev said. The President of the European Council, Herman Van Rompuy, also demanded a full investigation into the incident and the freedom of movement on water into and out of the Gaza strip.